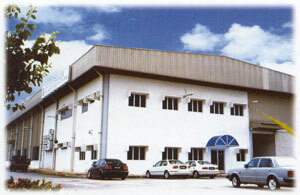 Lipro Mold Engineering Sdn Bhd was formed when a joint venture between Teck See Plastic Sdn Bhd and Ikegami Mold Engineering Co.Ltd was sealed on December 1993. This effort has developed a cutting edge technology for the company.And its staunch commitment to produce high quality moulds to meet the ever increasing demand in the injection moulding industry has made it one of the major players in the field today. In maintaining a world class manufacturing organisation, we dedicated to constantly innovate and excel on quality, costs, lead-time, flexibility, engineering and customer service. The drive to manufacture products of the highest quality at a reasonable and competitive price in order to achieve our prime objective of customer satisfaction. Always keeping one step ahead of the times and industry standards by continuously enhancing the quality of our products at a competitive price to fulfill our diverse range of customers' ever increasing requirements. 1. Continued customer satisfaction is our main priority. 2. Commitment to constantly strive for the highest quality. 3. Individual staff satisfaction at all levels on the quality of work delivered by their peers. 4. Perform all duties right the first time around from important and complex processes down to menial tasks. 5. Ensure that "quality" is inherently built into every process. 6. Maintain good housekeeping at all times.